It’s been an amazing August in terms of weather for running. This past week I’ve had several runs, logged in around 40K and feeling pretty good about it as I’ll be starting my Dopey training very soon. If there are any other Dopey challengers out there, do let me know. Would love to hear about your training over the months. I plan on sticking to my marathon training program I used for Goofy 2010. I modified it to incorporate two LSD’s back to back on the Saturday and Sunday so that I would get used to the fatigue. Whatever distance I ran on the Saturday, I would run double the distance on the Sunday as it was a half marathon on the Saturday and full marathon on Sunday for the Goofy. This time around, my plan is to also incorporate an emphasis on training from Thursday-Sunday, as the Dopey is a 4 day event. As well, training runs and/or cross training Monday and Tuesday. My goal is to finish upright and standing. I want to enjoy the course(s) take lots of pictures, and enjoy my vacation so that I can participate in other activities in between races. I’m really looking forward to January 2014!! As the weeks progress, I hope to talk about my training, and share how it’s going along. 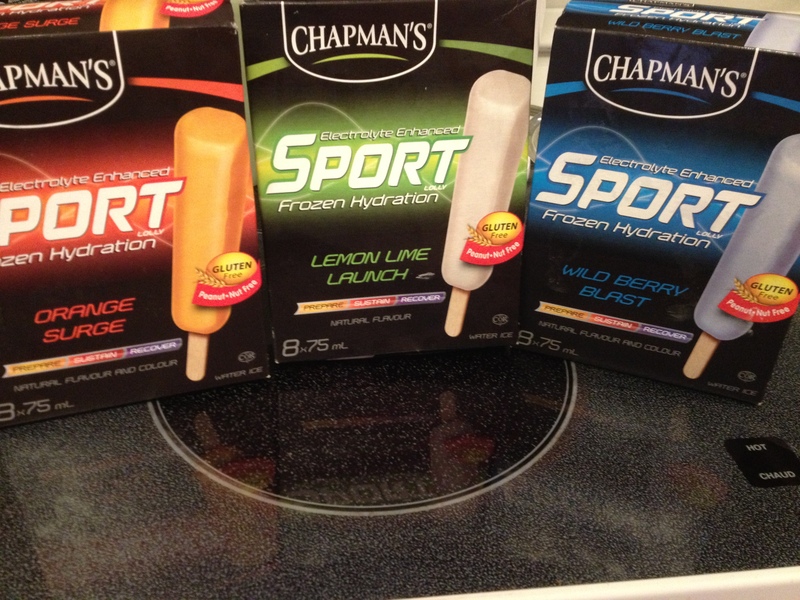 These have been a refreshing treat I’ve enjoyed after my run. If you are in Canada, go check them out! They are made by an independent company called Chapman’s – A few years ago they had a terrible fire, but they rebuilt back their business and seem to be growing strong! This entry was posted in Race Events, RunDisney, Running and tagged chapman's ice cream, dopey, goofy, training, walt disney world marathon by Urban Running Girl. Bookmark the permalink. Wow, I’m impressed you’re doing the Dopey Challenge! I don’t think I’ll ever be up for that. Think about doing the Double Double Dare next year and that sounds like a lot to me. Can’t image all the other races on top of that. Good luck! It is a lot. I won’t lie. I ran Goofy in 2010 and also added the 5K on that weekend. It’s a lot of training but well worth it. It was on my bucket list and was glad to do it, but now that Disney has the Dopey, my bucket list has been revised. lol You definitely could run the Double Dare with the proper training program. Hope you take the plunge! Happy Running.